Woke up to the McAvaney weekly commentary. I am Cuban Orrick along with David McAlvany. You know it’s funny Dave I’ve gotten to where I don’t watch much TV but when I do my blood pressure goes way down when I can turn an old Western on into the other night I was watching a Jimmy Stewart Western called bend of the river will go into the whole story but it shows how quickly a town can change when there’s a gold rush and it makes me think of what’s going on right now when there’s a gold rush. Gold rushes come after the secret’s out. Gold is found and usually people try to keep a secret. When the secret’s out everything changes. Now we have a gold rush going on right now but it’s still sort of veiled. It’s in secret and the people who are collecting the gold don’t really want us to know. It’s interesting Nixon closed the gold window in 1971. We had deficits which were polluting we had an economy which was shifting towards recession 73 74 ended up being nasty in that regards it was not surprising to see the world’s central banks scrambling to diversify out of dollars and into gold. And during that time France wanted to try to be secret about it even though they were taking just about all of it. And frankly that was in the mid to late 60s where they were taking a lot of gold. And of course we know it got to the credit point seventy one gold represented in that era the legitimate asset behind the U.S. dollar. And as the fiscal position of the United States was being compromised the world rightly assessed that there was a greater risk in the relationship between the dollar and gold and that relationship being disconnected and it was a debt problem that became a currency. Isn’t that how it always happens. It’s a debt problem that turns into some form of crisis. Yet at this point there seems to be a similar type of activity by the people in the know. It may be happening all over again. So you know that you recall that 70s show. 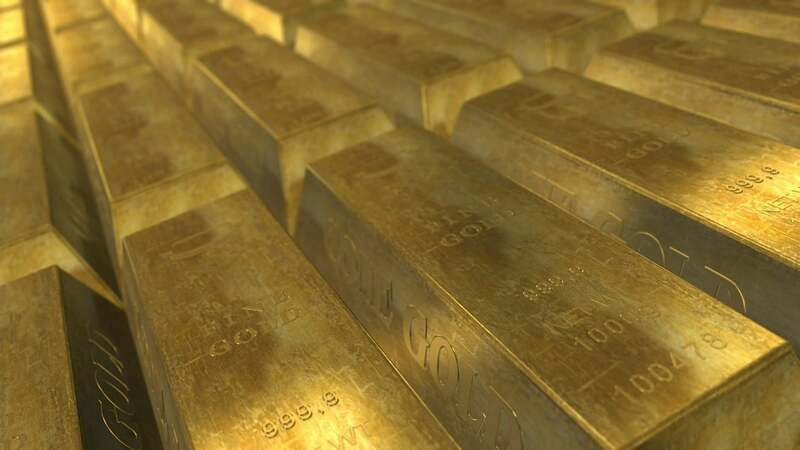 Well which we may have that in 2019 you get central banks which bought the most gold in a single year last year 2018 at 651 and a half tons that was a seventy four percent increase year over year. And that is the most gold bought by central banks in any year since the 1971 central bank gold rush. Isn’t it interesting that the central banks have purchased more gold in a single year since 1971 and yet the American buyer of gold is at an almost an all time low. You know the U.S. Mint said that gold sales last year were the lowest in over a decade. Go back to the 70s by the time the public fully understood that the U.S. Bretton Woods currency debacle was on them. The gold price had already moved 500 percent and that was not the last like the last leg was an additional 400 percent. On top of that that was what was still to come. And what is this this is all reflecting a diminishment in purchasing power. It was also representing a loss of confidence in the monetary authorities specifically the U.S. central bank at the time. Well isn’t it interesting as we speak. You’ve got people still investing in these index funds just thinking that the central banks have got their back. Look at how much money and how much stimulus from the Federal Reserve it’s taken just to get us to the point we’re at. And so here we are sitting at less than 10 percent from all time peak prices. The stock market. You’ve got fiscal deficits which are widening you’ve got global economic growth slowing. If you look at what the Fed has done they’ve put rates at about two and a quarter percent. And frankly to the peer group that you’re comparing them to that’s rather high but it’s only half of what they were prior to the global financial crisis so we cut rates from five and a quarter down to just 25 basis points. And even that extreme 500 basis point cut was not enough to avoid the recession of 2007 and 2008. I don’t know but it appears that 200 basis points to give. If we were to go back to that quarter point is I can get it done the next time the Fed actively intervenes when it took not when it took what it did in the past. Now what’s interesting is the very people who cut all those interest rates and are telling the stock market that they’ve got their back and Powell you know basically saying things are fine. Pay no attention to my latest action. These are the same entities the central banks that have a 74 percent year on year increase in their gold buying they know something that they’re not saying Dave.